Soon Windows and Mac will be thing of the past if the newly launched Acer's DA241HL All-in-One (AiO) hits paydirt with the buyers. What makes the Acer's DA241HL different is that it is full fledged desktop (called AiO in modern parlance) with Android 4.2 Jelly Bean and NVIDIA's Tegra 3 Quad-core processor aboard it. 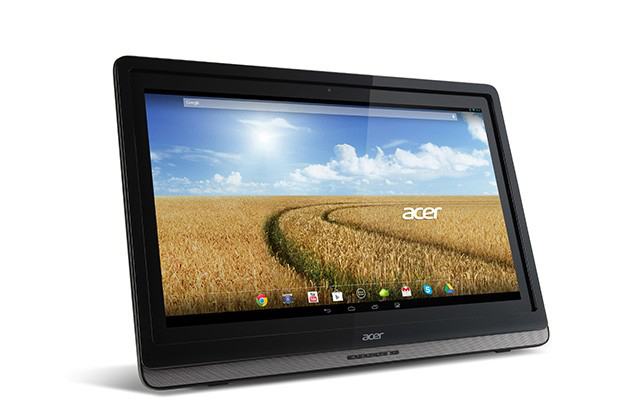 The DA241HL is nothing but a desktop version of Android tablet but Acer is pricing it right and that's what matters. Windows 8 has been unable to gather any momentum in the PC market and is way to costly for ordinary users. Acer has plunged in with this Android AiO to bridge this gap. It will offer DA241HL with a starting price of $567.00 or €429 (Rs.37000.00), while if you take a look at the Windows AiOs, they cost above $1056 or €799 (Rs.69000.00). A little about the Acer DA241HL. It will come with the access to Google Play Store and will offer personalized experience to to up to 5 users with each user customizing his or her own settings and applications using the multi-user account feature in Android 4.2. As of now Acer has not mentioned the storage or the RAM the DA241HL will have on board but we may expect the DA241HL to be armed with a SSD and at least 12MB of RAM. For connectivity the DA241HL will have all the Smart phone services like USB, Bluetooth, HDMI etc. You can also connect the DA241HL to a Windows 8 PC via HDMI or USB cable. The DA241HL will be available for all the consumers starting December, 2013. Acer has taken care of all the parts that will go into DA241HL except for the 'NAME' for the DA241HL. Come on who in his right senses will say "I own a DA241HL" that looks like a tongue twister to me. The DA241HL will launch in mid-October with a starting price of €429, while the Windows AiOs will cost between €799 and €1,129, and hit stores in December and January.